Things have been so super hectic around here…two weeks ago we went on a camping trip, followed immediately by my company implementing a TON of new changes, so that’s been fun/challenging, I have more cross stitch commissions, and just a lot of stuff has been going on I have barely had time to breathe let alone blog. But I wanted to at least talk about the camping trip! 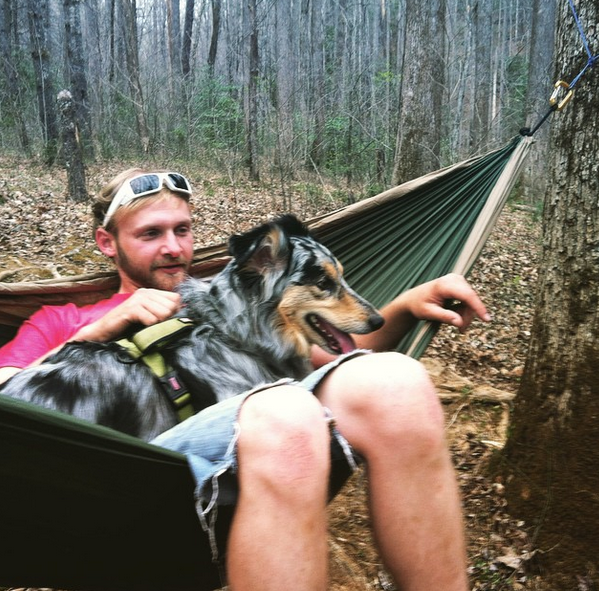 We left early Friday morning, packed up the car with our backpacks, tent, and dog, and started the five hour journey to Pisgah National Forest.We were the first ones of the group there, so we settled into the last campsite available. Unfortunately, it was littered with trash, and one hollow tree stump in particular was obviously used as the previous camper’s toilet. Gross. People began showing up, we got our fire started, and let the good times happen! My boyfriend grew up in the Blue Ridge Mountains and he’s used to backpacking – where you pack super light. 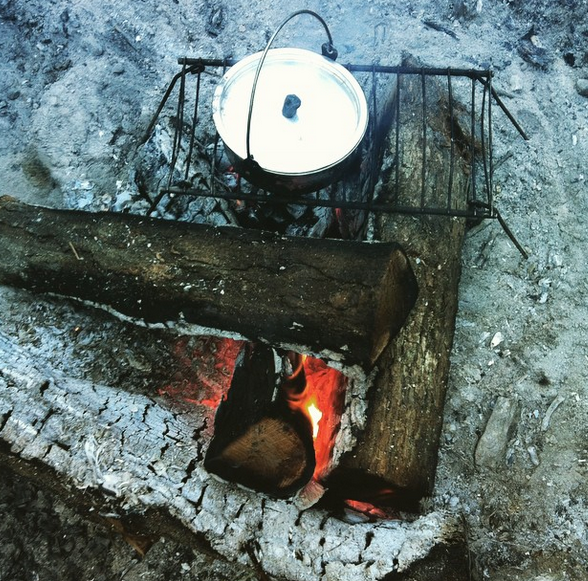 We also were only going to stay one night but that turned into two, so our rations did not last us very long at all. Luckily the people we were with all brought more than enough and were very willing to share. The first night was rough. Our tent leaked and it down poured. Justin has a mummy bag so he was fine, but I was very cold in my regular sleeping bag because that’s where the leak was. But the next day I pushed through and warmed myself by the fire and had freeze dried bacon and eggs. The second day a hiking trip was planned, but I really just wanted to sit around the fire so two other ladies and I stayed back and drank beers while we stuffed easter eggs for the kids that were with us. It was super fun, although I learned dark chocolate and beer don’t mix too well. Everyone returned and we were all still hanging out, but as the sun fell, a bitter cold followed. I stayed huddled by the fire, but once it was bedtime, I crawled into my sleeping bag with my pants on, a tank top, t shirt, flannel, and coat, but I woke up around 5:45 AM frozen to the bone. I actually started to cry because I have never in my life felt that kind of cold before. Once it was light enough, I pulled my sneakers on and got as close to the fire as I could. I didn’t feel warm again until halfway through the ride home, when I made Justin crank the heat in the truck. I was cold, dirty, and aching in places I didn’t know existed, but I loved it. 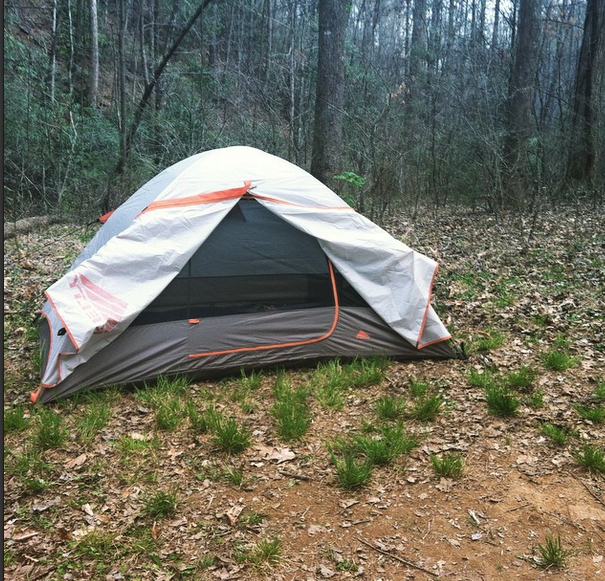 While I need better gear, I wouldn’t mind living in a tent once I master the art of using the woods as my bathroom. 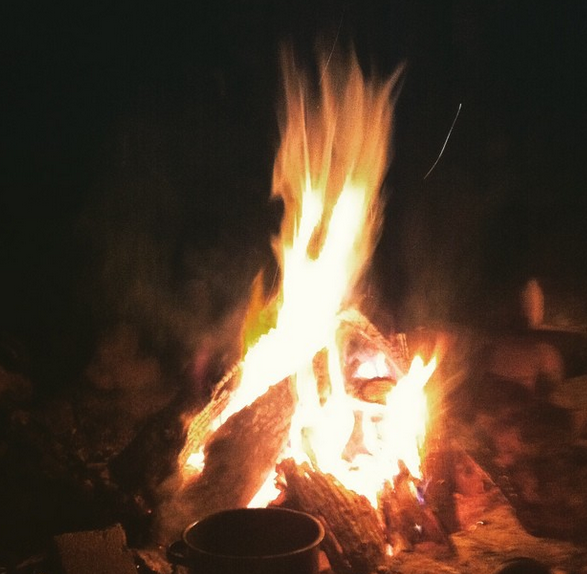 Cooking over a campfire, being able to see tons of stars, listening to the owls and birds and crickets…it was amazing. I loved being so close to nature. I’ve been spoiled working at home in the luxury of my apartment, and it’s nice to be humbled by the earth and the elements. 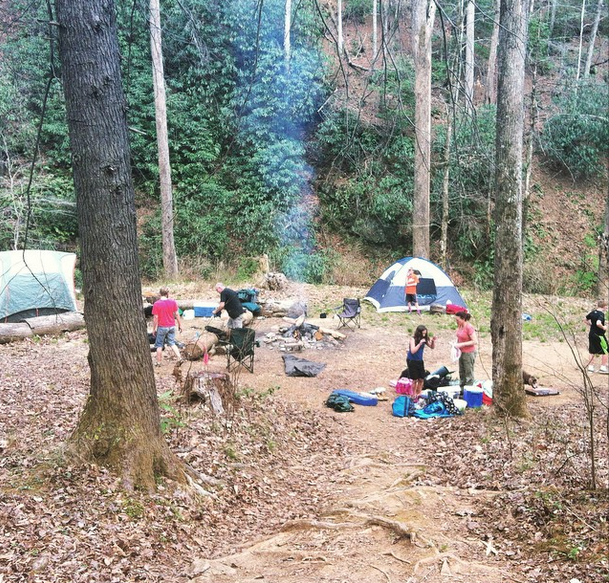 I cannot wait for our next camping trip! I loved everyone and had a blast! Maybe we will try camping on the beach next!